QVC is a television shopping channel broadcast in the United KingdoM. QVC organises its product range into eight distinct categories: Beauty Fashion and accessories Jewellery Craft and leisure. QVC (an initialism for "Quality, Value, Convenience") is an American cable, satellite and broadcast television network, and multinational corporation specializing in televised home shopping that is owned by Liberty Interactive. 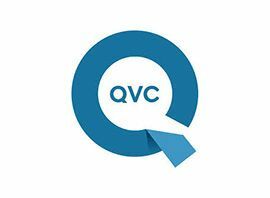 Founded in 1986 by Joseph Segel in West Chester, Pennsylvania, United States, QVC broadcasts to 235 million households in six countries as QVC US, QVC UK, QVC Germany, QVC Japan, QVC Italy and QVC/CNR (China) - with QVC France due on air in mid-2015.